The 3D Outdoor Guides tour planner is the easiest tool to find the perfect tour! With the unique, photorealistic and interactive 3D maps planning is easy and inspires to new adventures. More than 4,000 well-researched and quality-tested hiking- and bike tours are available. Combined with the 3D Outdoor Guides App, these tours are available while hiking. With the photorealistic map, the app allows for perfect orientation and in any weather. 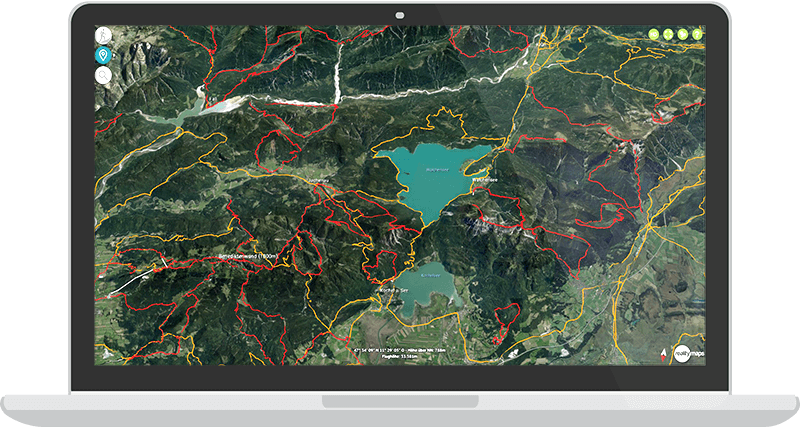 The Outdoor Guides online tour planner currently covers most of the Alps with 3D maps of the hightes resolution - from the Bavarian Alps to Tyrol, the Salzburger Land, South Tyrol with the Dolomites and the whole of Switzerland. The 3D map and the tour guide are constantly being expanded and updated. The interactive panoramic map offers only quality-tested tour suggestions from Bergverlag Rother and tourism experts. All relevant information regarding requirements, route and altitude profile are included. That way every hiker, mountaineer or mountainbiker will find a suitable tour for their requirements and can assess the difficulty using the 3D map. 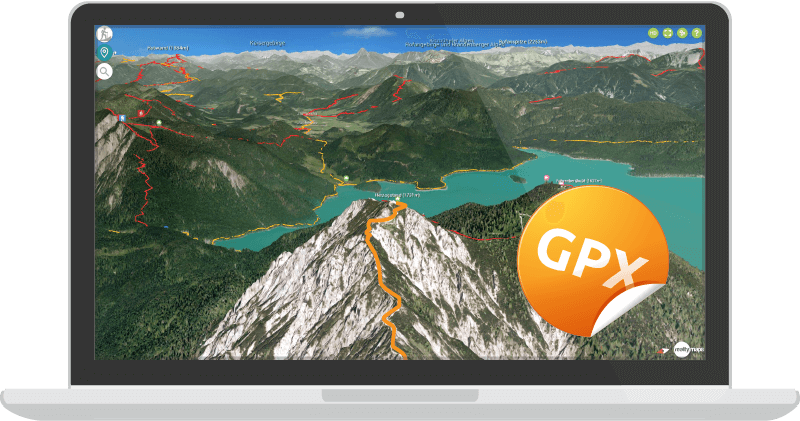 Tours from the Internet can be imported in GPX format directly into the 3D map to explore the route in the real landscape. 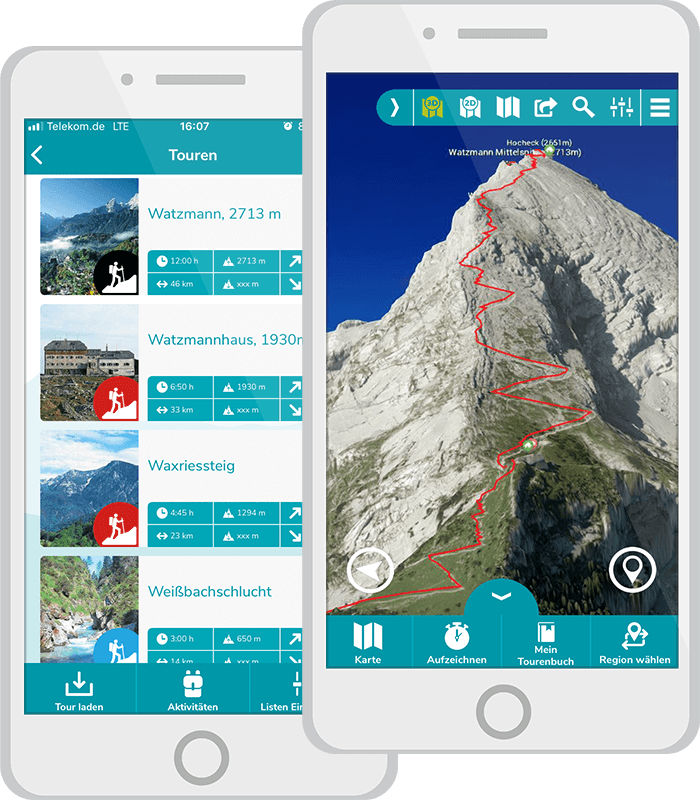 With the Outdoor Guides app, the smartphone becomes a full-fledged GPS device for outdoor navigation in the Alps. The current position is displayed live in the real landscape of the photorealistic map. This makes orientation much easier than with topographic maps. With the GPS of the smartphone you can easily follow the marked course of the tour suggestions. Getting lost is a thing of the past. The 3D map contains many webcams of the Alps and that show the current weather conditions. Unique: All 3D maps can be downloaded as an offline map on the smartphone. That way the app is always available everywhere. Perfect. The best there is in this field. Great App! Has helped me many times and delivered very useful information. Shows my own position in the 3D mountains and I really like the panorama function. Great app to plan tours. 3D view is very helpful. Brilliant!!! With the new features and the topo map, the app is even more fun! The price is totally fine and worth it! Definitely better than any other outdoor navigation apps I've tested !!!!!!! And also mega easy to use! Great App !!! Super helpful for both hiking or skiing! Always a lot of fun to use and a good extension for my outdoor activities. I can warmly recommend that!!!! Perfect. As an outdoor enthusiast, this app is a must! Works flawlessly! Best Outdoor Navigation App! Ingenious app! Perfect for cycling! Saving the photos directly at the point on the route where I made them is really great! We have been coming to Berchtesgaden for many years. Interpreting maps, well I have to admit is always a problem for me! Was! 😎 A cakewalk with the 3D App! A must for everyone who likes to hike. 5 Stars ! Thanks to the developers. Best hiking app so far. Have already tried many hiking app, this is the best. Even if you have to pay something for it is worth it. Perfect for the mountains. As a tracking app and orientation aid a real alternative to classic GPS devices and topographic maps. The quality of the 3d maps convinces all along the line. SUPER Very strong app ... :-) It's just a lot of fun to navigate in the very detailed 3D maps and discover new destinations for future hikes. I am also looking forward to new cards! Keep it up! Great selection of tours. Have already discovered some nice peaks lately, the coverage has also improved again and again, keep it up! Good route suggestions! One great feature is the location in the map and the tracking. I also used the app for skiing and the tracking is just cool. I came across the app by chance. Have been using it for a few weeks for mountain bike tours in the Alps. The maps with the tours are very helpful and above all very detailed. I've also discovered new tours that I've never done. I am really excited. If there was a version for ski mountaineering, I would be perfectly happy. I am thrilled! Class resolution and super easy to use! It's really fun to plan your tours that way and to be able to look at your recordings of the tour again in the evening! Only to be recommended!